The downside of losing weight is that the outfits that I bank on wearing for special occasions or even for certain cleaning tasks just don’t fit any more. We’ve been together for quite some time, my clothes and I, and it’s hard to part with the stable of dependable choices. So I make myself remember. 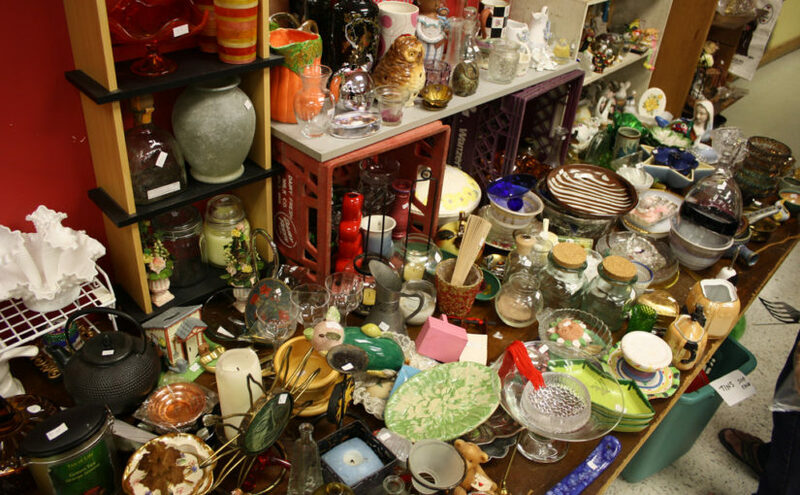 The school where I taught, in Texas, back when my children were younger, was having a sale, and I was shocked at the beauty of an item that one woman donated. “You’re donating that?” I asked. And now, when I am reluctant to part with something — clothes I loved but have undergrown, books or toys that no longer interest anyone in our home, things that I bought in error or that don’t quite fit the need I got them for — my husband will encourage me to donate it. “Let it be a blessing to somebody else, ” he says, with a Texan twang. And, may it be so. When my children were younger, I went through a phase where I tried to get them to appreciate poetry by reading it to them at the dinner table. They were, at the time, the opposite of appreciative. It’s not that we didn’t read at the table — my husband had moved bedtime stories to dinnertime as their tastes went from Richard Scarry to “Lord of the Rings.” But they wanted stories, not poems. And especially not the poem that I tried to make them love. I had chosen a Japanese poem, “The Man Pulling Radishes,” by Kobayashi Issa, who lived around the time America was founded. It’s a simple poem, not even a haiku (at least in English), but it encompasses so much. The translator, Robert Hass, is still alive, and I don’t know enough about copyright law to know if I can post his translation here, but it’s absolutely beautiful. Here’s a link. – the seeker will continue on his way, and the man with the radishes will keep pulling radishes. – Sometimes all you have is a radish. God will make it enough. – Even though all someone has to point the way is a radish, it’s enough to get you started. Radishes are easy to plant, and are one of the first things to come up. And so this might set the time of the encounter for us — early Spring, and the seeker is out seeking, and the man who planted the radishes is harvesting them. Each of us has a task. My children’s reaction, though, was horror at the idea of me reading poetry every night during great story time, followed by derision of the poem for its brevity and content. Radishes became a running joke. When they encountered a bad poem at school, they’d shake their heads and say something about it being worse than radishes. When my mother-in-law gifted me with a GPS, a glorious day for everyone I’ve ever driven anyplace, they joked that now I don’t have to ask men pulling radishes. Whenever I served radishes, they quoted the poem, and rolled their eyes. They brought me radishes on a plate when a poem I was working on was not going well. And when they learned that a place called “Radish Magazine” reprinted my Guy Soup recipe but that I had signed away the right to a reprint fee from the place it was first published, their laughter was complete. Mom and her radishes. The irony was that yes, I had been trying to point the way with the radish poem. 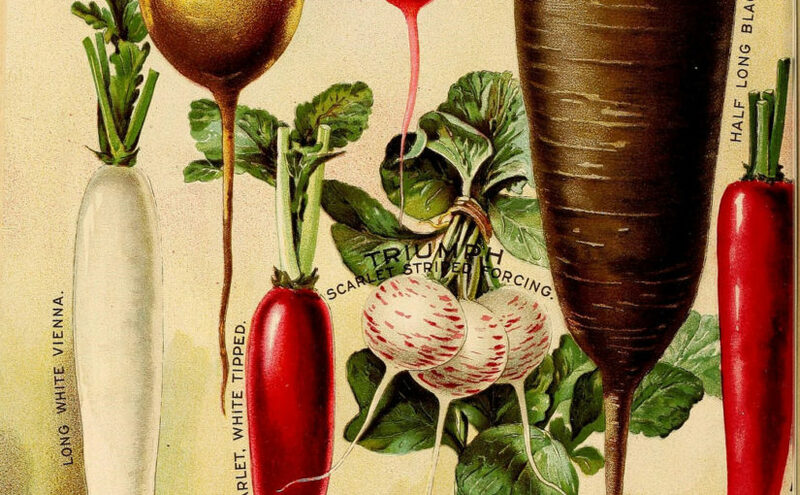 Instead, I was afraid that I had ruined poetry — and radishes — for them forever. Plant those seeds, whether radishes or love of poetry. When you harvest them, you can point somebody’s way.